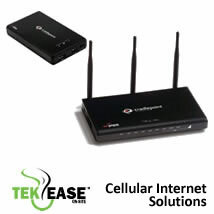 Cellular Internet from TEKEASE is a great solution if you don’t have DSL/Cable Broadband Service available in your area. We provide sales, service and on-site installation of complete cellular-based Wi-Fi Solutions for your home or small business. Our cellular broadband-connected devices will allow you to share your cellular broadband connection with all Wi-Fi devices in your home. You will benefit from the same features, function and speed of traditional DSL/Cable Modem solutions in a secure/encrypted TEKEASE provided Wi-Fi environment. Our devices also support Verizon Wireless, Sprint, Bell Canada, Team Mobile and AT&T Wireless broadband devices. If you already have a cellular USB modem, Cellular Express Card or Cellular PCMCIA modem, we can install and configure a Wi-Fi router which allows you to share the connection in your home. It features the broadest support of mobile broadband data modems available on the market today, and has easily upgradable firmware for future technology advances. Built with advanced data throughput management for wired services (Cable, T1, or DSL) as well as mobile broadband, your Wi-Fi network has never been more flexible at such an affordable price. Our devices are ready to be used with an active 3G/4G mobile broadband device, they also support Ethernet- based data connections. You can use both wired and wireless together to create a redundant internet connection. When your wired data service is interrupted, our devices will automatically connect to an attached active data modem within 30 seconds – keeping you connected and online. Once your wired service is restored, the device will automatically failback to your primary connection – minimizing the time you’re connected to the data modem. Our devices include many features found in expensive, enterprise-class routers at a fraction of the cost. No software to load and minimal setup means you’ll be up and running in minutes. Our devices come standard with top security features like multiple concurrent VPN pass-through sessions, encryption modes including WEP, WPA/WPA2/WPA2Enterprise and a firewall which prevents unauthorized use of your connection. Confidently and securely access the Internet and share your data connection with up to 30 people or devices. Download Speeds, Bandwidth and Monthly costs are determined by your cellular carrier and the cellular broadband package you subscribe to. Our Cellular Broadband Wi-Fi Routers start at $249.00* installed. We will connect and configure up to three wireless devices at your location. This normally includes two computers and a printer. *Price includes router and on-site configuration. Cost for cellular modem and service are additional and are based on your cellular carrier, broadband device selected and terms and conditions of cellular carrier plan. All trademarks used are property of their respective owners. 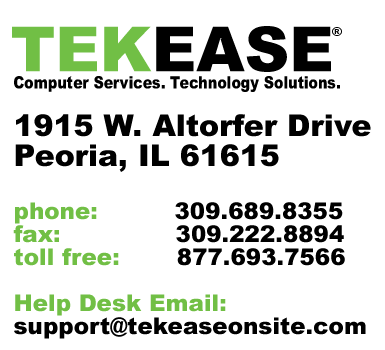 TEKEASE is not affiliated with Verizon Wireless, Sprint, Bell Canada, Team Mobile or AT&T.